In most schools, Computer Science is addressed as a subject where students learn about Microsoft Word, Excel and Powerpoint. Here, the focus is more on using generic application software and less about encouraging students to research, analyze, and problem-solve using tech tools. 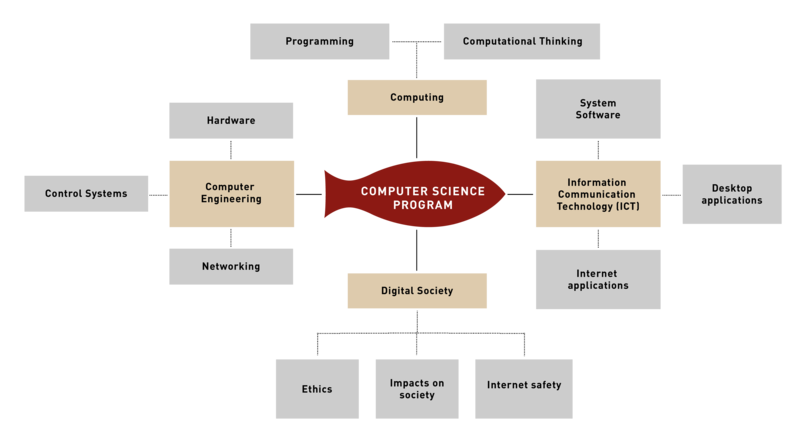 While traditional programming languages such as Turtle programming and QBasic are introduced at elementary and middle school level without teaching fundamental computational thinking concepts, very few schools venture into physical computing aspects of computer science. In addition to this, most schools use printed material that is outdated and not relevant to the changing tech landscape. 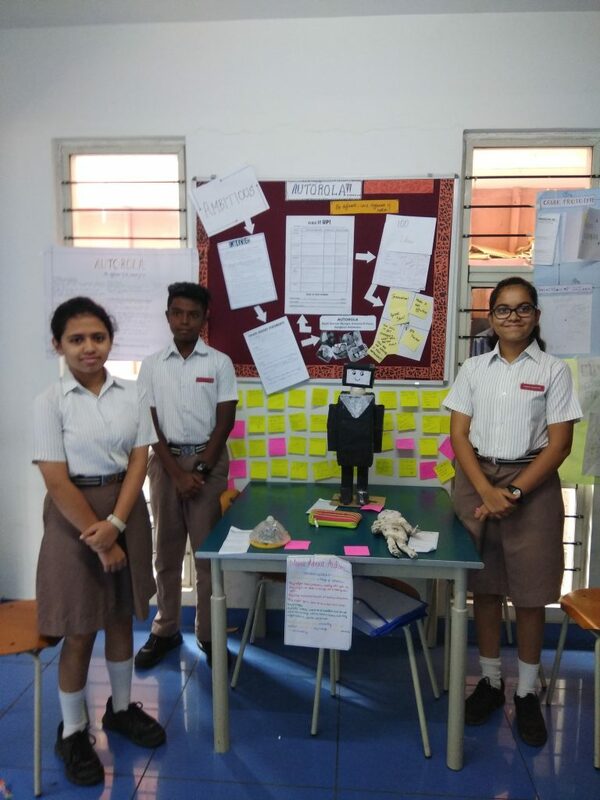 Practical activities and assessments are far and few in between and do not give the students enough opportunities to explore a particular application. We sit with Ms. Ahlada Sudersan, who builds the Computer Science curriculum at Ekya Learning Centre and understand how we do it differently at Ekya Schools. 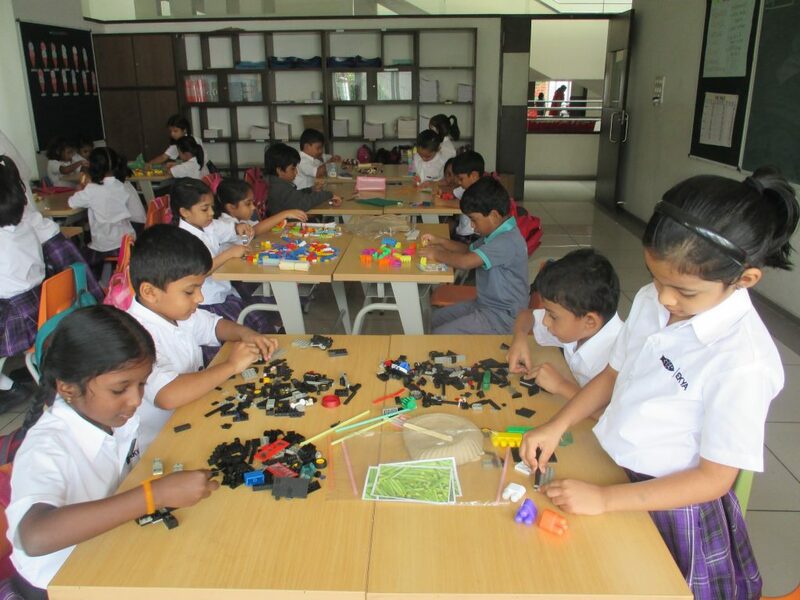 The CBSE curriculum does not lay emphasis on coding in Primary and Middle school. Today, technology has become unavoidable, being integrated into everyday life. We need to prepare our students to be comfortable and contribute actively in a technology-rich society. They need to be able to design solutions to real-life problems using programming skills. 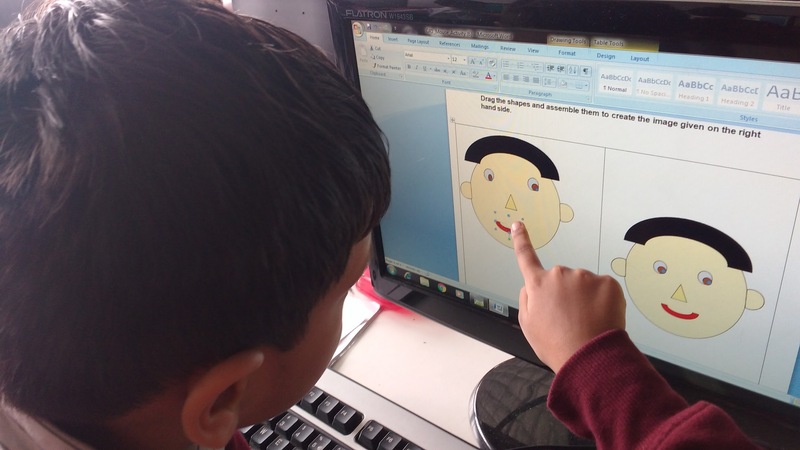 In order to create an interest in programming, we introduce Computational Thinking from Grade 1. In this strand, students learn to look for patterns, group similar data, use a sequence of instructions to make something happen and solve puzzles that require logical reasoning. They learn that a problem can have multiple solutions and the efficiency of the solutions depends on the problem itself. This builds a problem-solving mindset from a young age. Students are also able to phrase clear and understandable instructions. 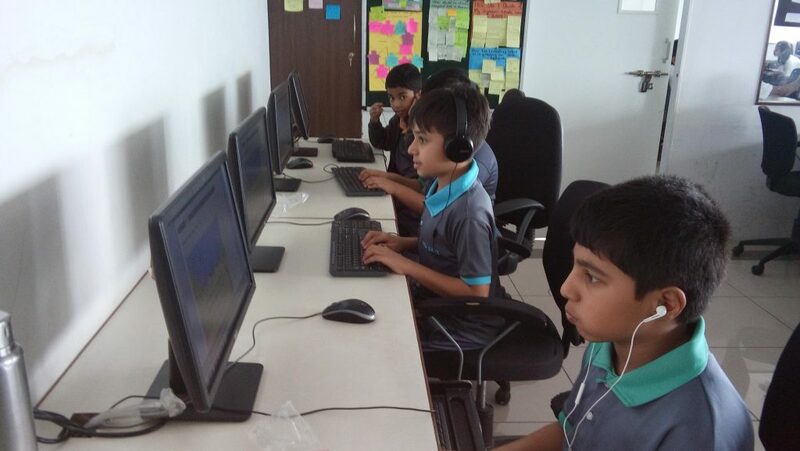 Students of Grade 2 practise touch typing. Students of Grade 1 drag and rearrange shapes to create the given image. 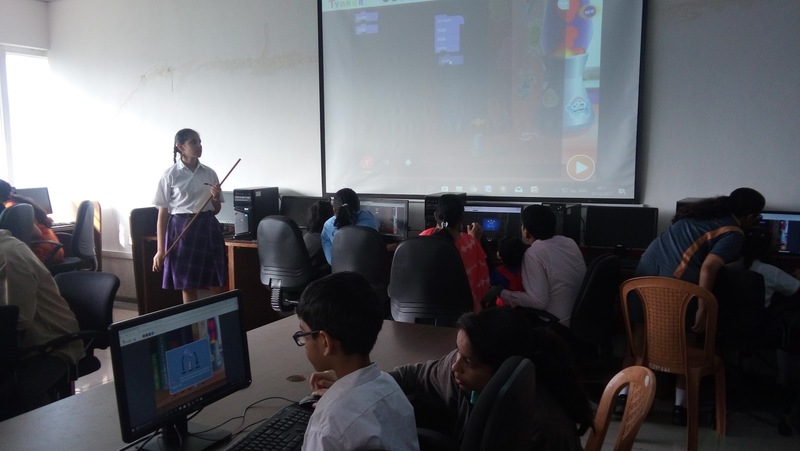 We have also introduced visual programming languages: Logo in Grade 3 and Scratch in Grades 4 and 5 where students familiarize themselves with concepts like decision making, repetition, variables, functions, parallelism and random values. These languages act as a precursor to text-based languages that are taught from Grade 5. • Be responsible, future-ready digital citizens. • Design, prototype and implement solutions to real-world problems using technology. 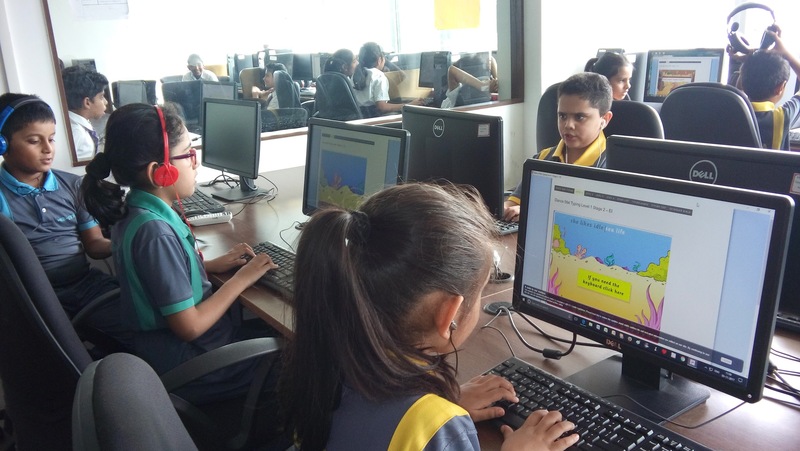 In Primary school, in addition to the programming languages, students learn basic application software such as Word, PowerPoint, Excel, Paint and Google Apps. They discuss the impact of technology on society and what internet safety means. 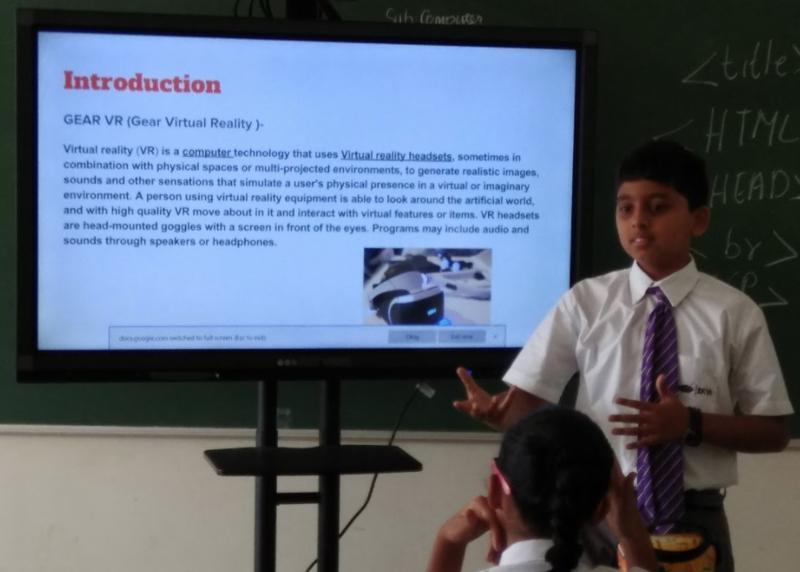 By Middle School, students are researching on ethical issues and distribution of technological resources around the world, learning how to use these resources responsibly. They learn animation using Vectorian Giotto, image editing using Paint.net, electronics and physical computing using Arduino, GUI development using Visual Basic, Web development, database management and so on. 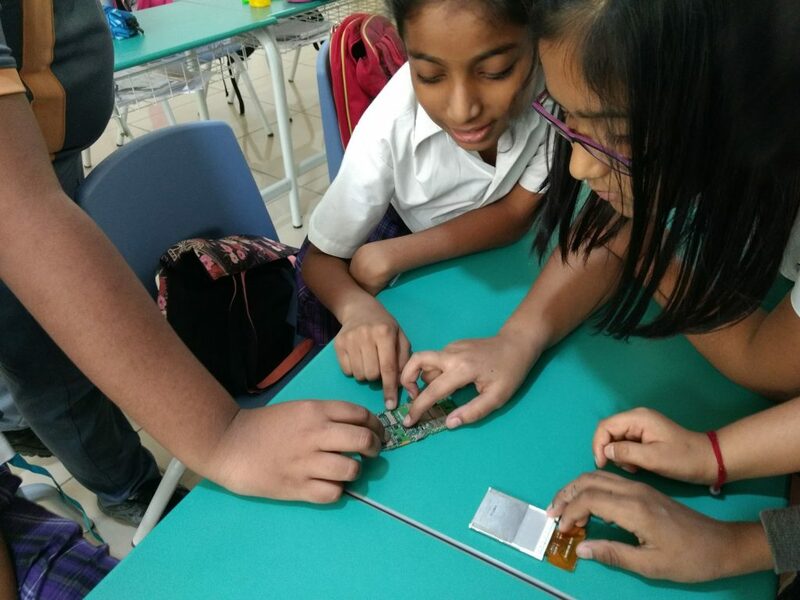 Grade 5 students locating the ROM on a chip. Secondary and senior secondary students learn Java, C++ and Python. They also address real-world problems as part of their project work and create end-to-end solutions for these problems. Under Digital Citizenship, students explore the positive impact of technology. They work in teams to research and validate information on the given topic and present it. As part of Computer Science Education Week observed every December, Ekya students host the Hour of Code. It is a global awareness program, celebrated at Ekya ITPL in 2016 and Ekya JP Nagar in 2017. 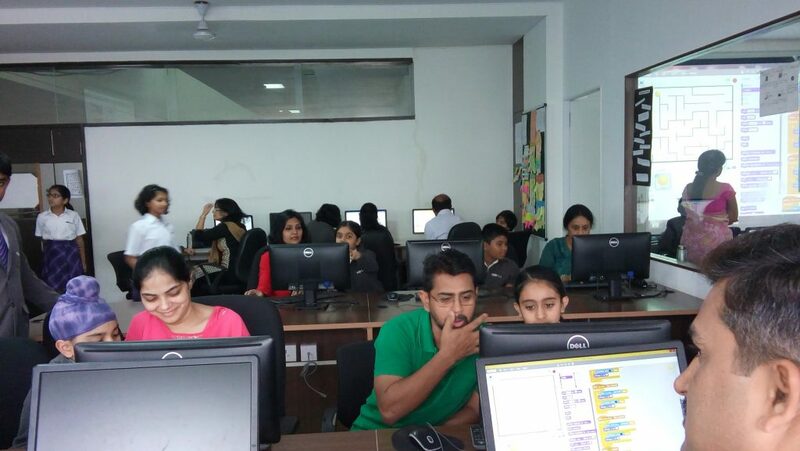 The programming event, organized and managed entirely by students, aims to educate people on the basics of computer programming in a fun, simple way. Through “Together We Code”, parents of students are also invited to participate in the programming challenges – Crack the Code, Techno Quiz, Discover-Design-Display to name a few. The recently held Hour of Code had students present interesting projects using software such as Scratch, Visual Basic, Java, Python and Arduino. 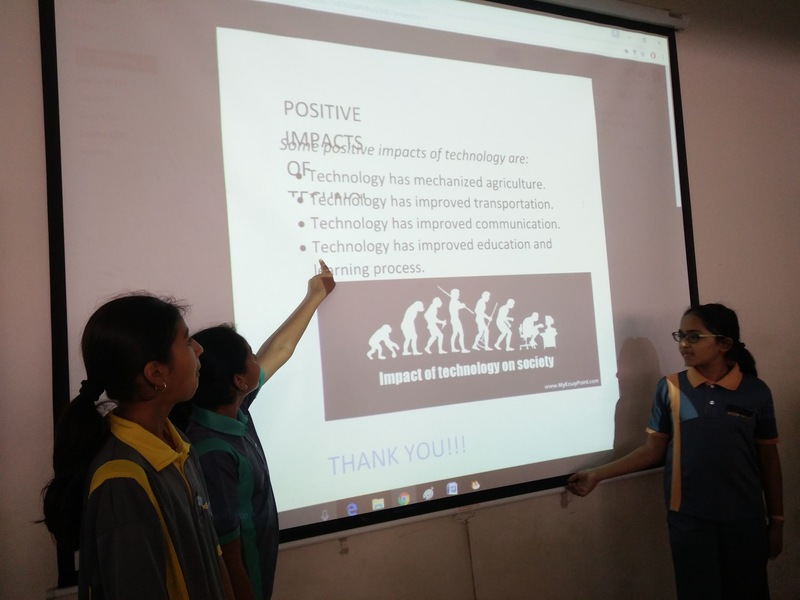 Students from middle school conducted a pair programming event for younger children as part of the Hour of Code celebrations at Ekya JP Nagar. 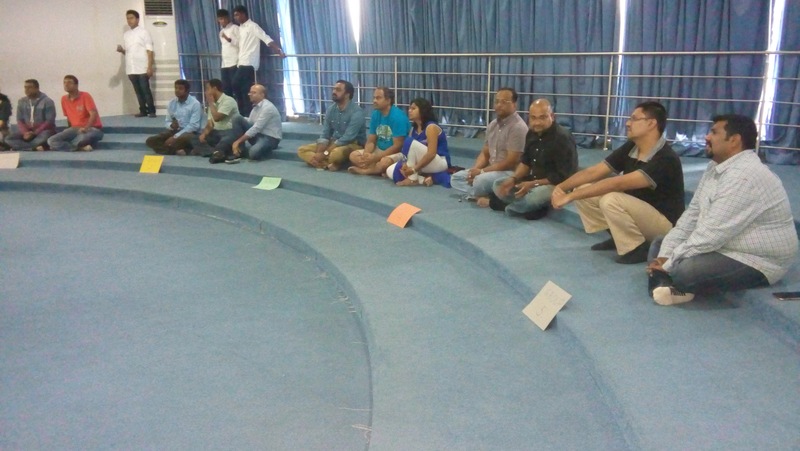 Parents also participated in a tech-quiz during the event. 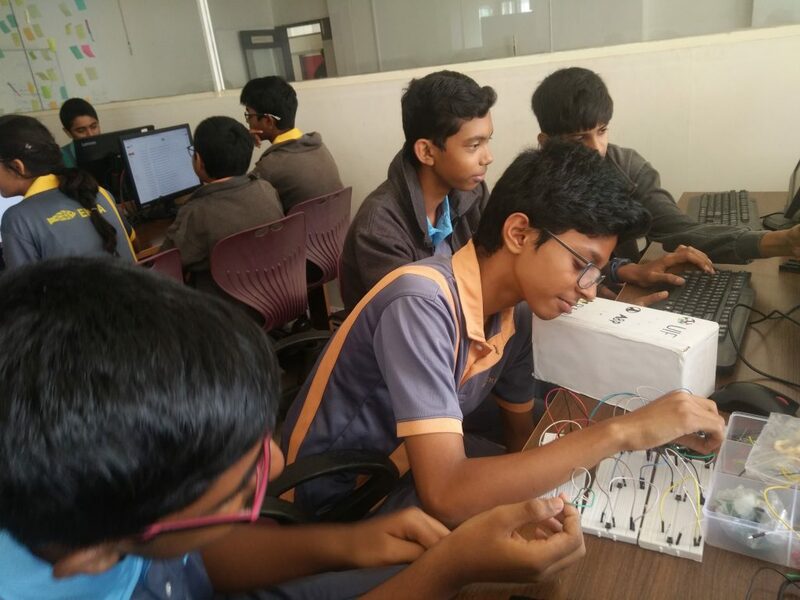 Students built an Electronic Voting Machine for Open Day at Ekya ITPL. Students at CMRNPS designed and built a pill dispenser for visually challenged people using Arduino. Computer Science teaches students the importance of validating information obtained from the internet. They learn about plagiarism, copyright licenses and responsible usage of internet, all of which hones a student’s ability to research and gather information. Students learn to present all kinds of information (text, numbers, images) in a meaningful manner, which is a required skill for other subjects and learning programs. Math concepts such as geometry, algebra, and problem-solving are inherent to Computer Science and Physics concepts such as Ohm’s law, circuits, electrical safety are all addressed as a prerequisite topic for Arduino. Students are taught to pay attention to the design aspect of a solution to problem. They analyze the needs and purposes while creating a product or a service and how the final product addresses these needs.